Immersed in the trees, communing with nature, traversing through the multiple levels and spaces you sense a "Swiss Family Robinson" feeling. With 7 levels, a 3 season's room and patio soaring over the woodlands and nestled in the trees there's a place for everything and everybody. Site Located in the northern Baltimore County, Maryland countryside. Large wooded lot with steep slopes. Existing small, aging, unconnected decks. Mature trees to remain and be protected. Outdoor spaces for dining, entertaining and relaxing. Connections and flow between all back doorways at all levels. Access from driveway and parking area. Appropriate for the house architecture. Integration of the indoor rooms with the landscape. 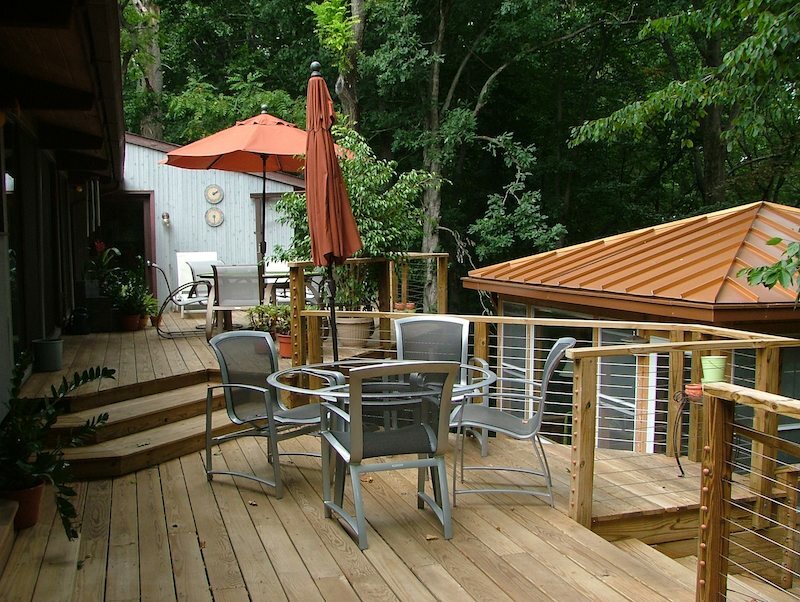 Combination of decks and patios. 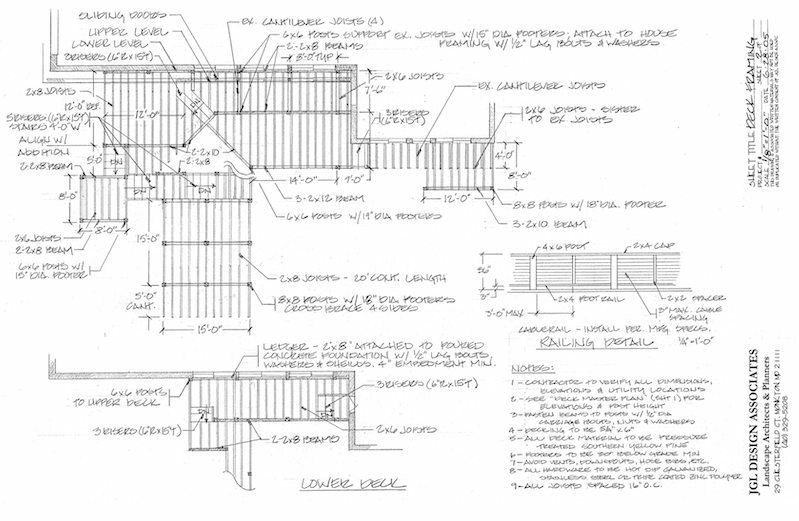 A series of decks on multiple levels (7), overlooks, boardwalks, stairways, and a patio create outdoor rooms and places integrated with the house and the landscape. 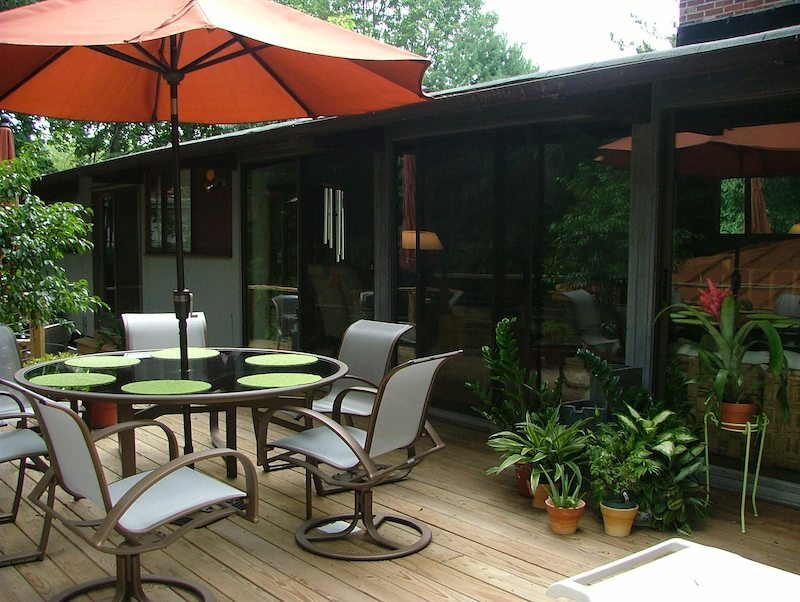 The large dining and entertaining deck provides the central space from which all other spaces and activities emanate. The food preparation and service deck provides spaces for grilling, beverage and buffet setup. 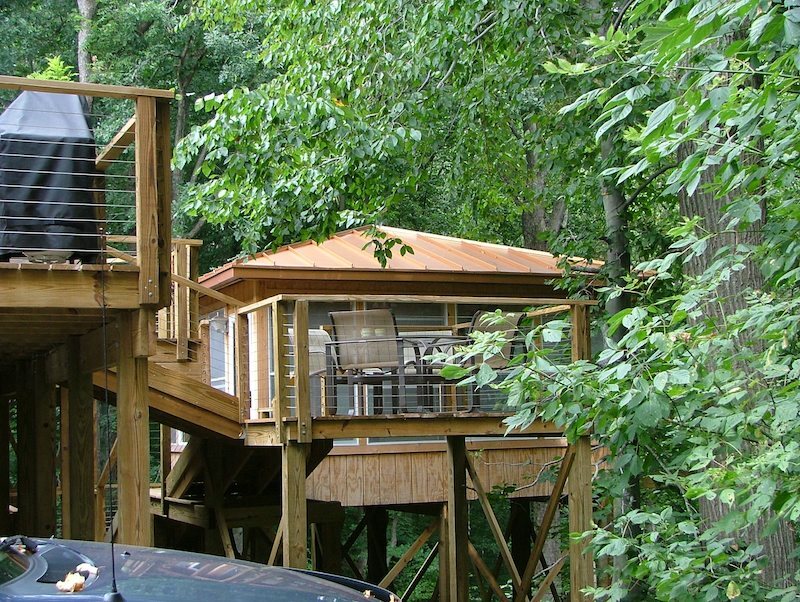 The stairway flows from the entertaining areas through an intimate overlook suspended in the trees, to the three season's room, across the boardwalk bridge to the balcony deck at the lower level recreation room, to the stone patio. The overlook provides a chance to have a glass of wine or a cup of coffee in a café in the trees. 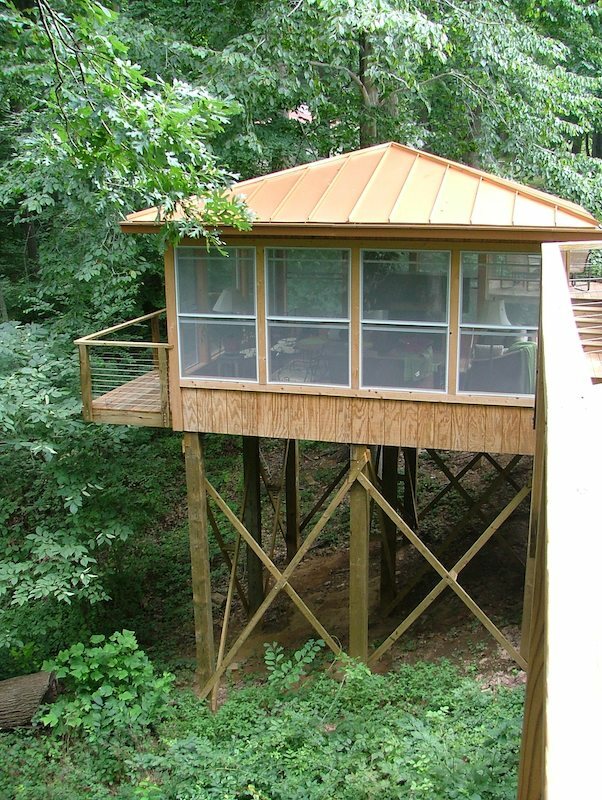 The Tree House (three season's room) is a place to enjoy the outdoors soaring high above the woodland floor as you listen to the rain on the metal roof or step out on the balcony nestled in the tree branches. 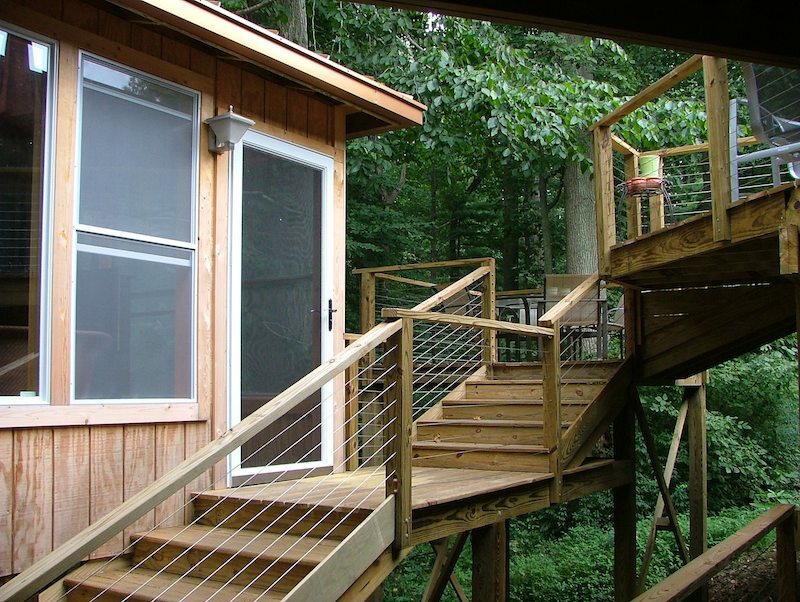 The bedroom deck provides for early morning or late night communing with nature in a private setting while having direct connection to the other deck spaces. 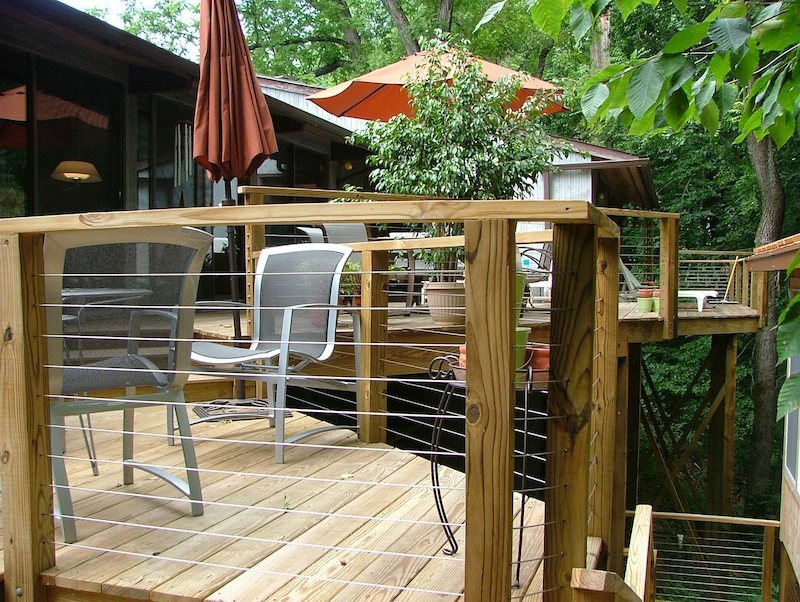 The cable rail provides for unobstructed views of the surrounding landscape. 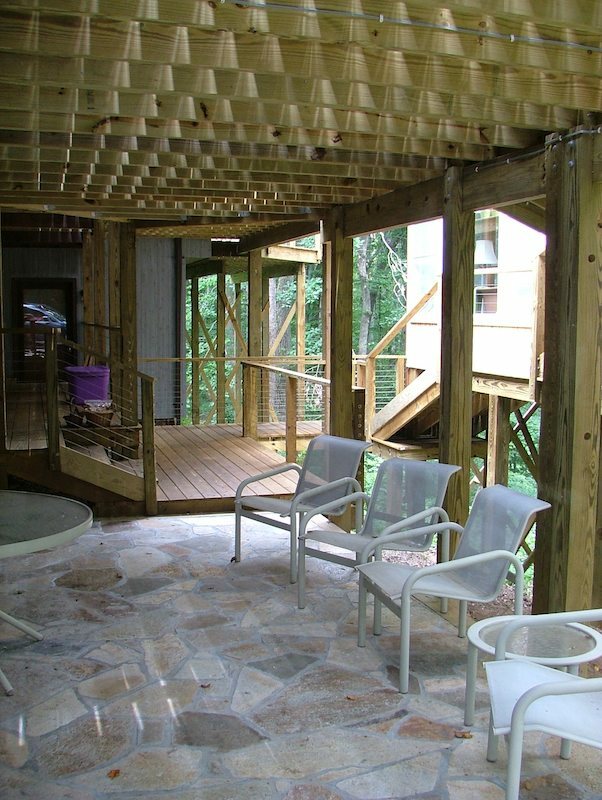 The stone patio provides connection from parking to the decks as well as a covered private space. The design takes advantage of the severe site constraints while creating a seamless and effective integration of the indoors and the landscape. 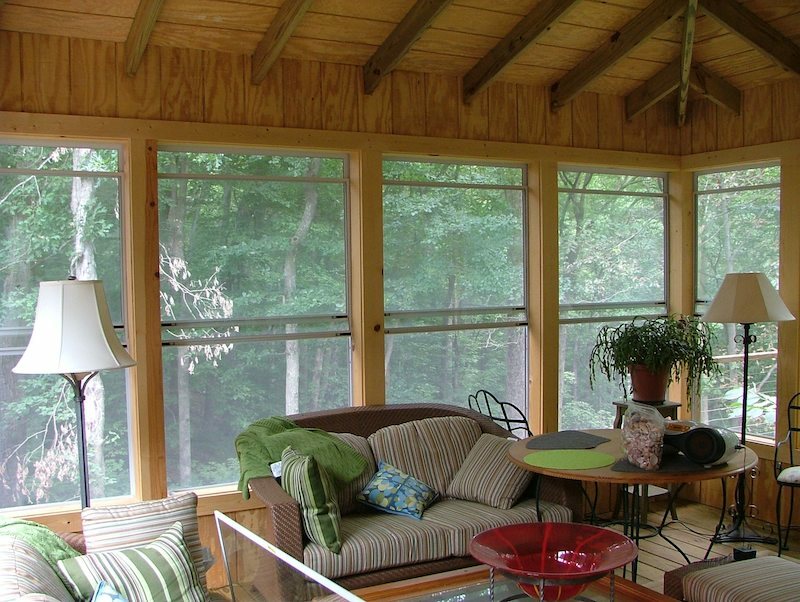 The final result creates outdoor rooms for large or small gatherings and activities as well as three season's use.